Processing can remove the components of edible oils which may have negative effects on taste, stability, appearance or nutritional value. To the extent possible, processing should preserve tocopherols and prevent chemical changes in the triacyglycerols. Rural oil extraction usually occurs near the areas of raw material production. This provides the smallscale processor with access to raw materials, helps to ensure that perishable oil crops are processed quickly, and reduces the transport costs. For rural communities and the urban poor, unrefined vegetable Crude oils are affordable to low-income groups and serve as important sources of b -carotene and tocopherols. Oil production maintenance of fresh raw materials, care is needed during and after the harvesting of oilbearing fruits that are perishable and susceptible to fat breakdown. Bruising of fresh palm fruits accelerates lipase activity leading to fat degradation. Oil-bearing crops such as sheanuts are Prone to mould infestation during storage. This is curtailed by heat treatment: steaming or boiling, coupled with sun-drying to reduce the moisture content. Storage. The moisture content of oil seeds and nuts influences the quality of raw materials over time. In most rural operations, sun-drying reduces the moisture content of oil seeds to below 10 percent. Adequate ventilation or aeration of the seeds or crystal in the storage ensures That low humidity levels are maintained and microbial growth is avoided. This is important in the storage of groundnuts which are highly susceptible to aflatoxin contamination through the growth of Aspergillusflavus. Since aflatoxins and pesticides are not removed by rural extraction techniques, microbial contamination and the application Of insecticides should be avoided. There is a need for storage practices which are affordable and available to the small-scale processor. Perishable raw materials such as palm fruits should be processed as soon as possible after harvesting. Coconut oil for human: In humid developing countries, the sun-drying of oil seeds with a high moisture content, such as mature coconut, is slow and inefficient. Such conditions promote mould growth which results in high free fatty acid levels and poor organoleptic qualities. Consumption should be obtained soon after harvest. 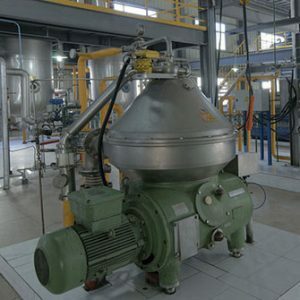 “ The first operation after harvestingtherapy sterilization and heat treatment by steaming or boiling, this inactivates lipolytic enzymes which could cause rapid degradation of the oil and facilitates the pulping of the mesocarp for oil extraction. “Sterilised” palm fruits are pulped in a wooden pestle and mortar or mechanised digestor. Small-scale mechanical shellers are available for kernels and nuts though manual cracking is still prevalent. Decoration or shelling separates the oil-bearing portion of the raw material and eliminates the parts that have little or no nutritional value. Most oil seeds and nuts are heat-treated by roasting to liquify the oil in the plant cells and facilitate its release during extraction. 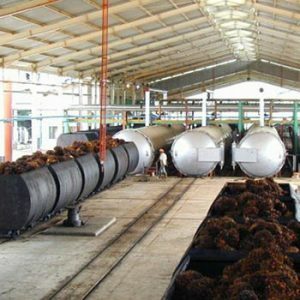 All oil seeds and nuts characterized this treatment except palm fruits for which “sterilization” replaces this operation. To increase the surface area and maximize oil yield, the oil-bearing part of groundnuts, sunflower, sesame, coconut, palm kernel and sheanuts is reduced in size. Mechanical discattrition mills are commonly used in rural operations. Extraction . In oil extraction, milled seed is mixed with hot water and boiled to allow the oil to float and be skimmed off. The milled oil seed is mixed with hot water to make a paste for kneading by hand or machine until the oil separates as An emulsion. In groundnut oil extraction, salt is usually added to coagulate the protein and enhance oil separation. A large rotating pestle in a fixed mortar system can be powered by motor, humans or animals to apply friction and pressure to the oil seeds to release oil at the base of the mortar. Other traditional systems used in rural oil extraction include the use of heavy The stones, wedges, levers and twisted ropes. For pressing, a plate or piston is manually forced into a perforated cylinder containing the milled or pulped oil mass by means of a worm. The oil is collected below the perforated chamber. A variety of mechanical expellers Have been designed. The pre-heated raw material is fed into a horizontal cylinder by a wormshaft. By means of an adjustable choke, internal pressure which is built up in the cylinder ruptures the oil cells to release the oil. Dehydration . By boiling in shallow pans, traces of water in crude oil are removed after settling. This is common in all rural techniques which recognize the catalytic role of water in the development of rancidity and poor organoleptic qualities. Cakes from water-extracted oil are usually depleted of nutrients. Other traditional techniques, for instance, those used for groundnut and copra, Pressed cakes . A by-product of processing, the pressed cake, may be useful depending on the oil extraction technique applied. Ensure that the by-products, if handled with care, are suitable for human consumption. Traditional technologies . In many countries, traditional processes for producing oil are very important, especially among communities which have easy access to raw oleaginous materials. Traditional processing tends to be environmentally sound and the skills required are family or group activities, involving women in particular. a a changing industrial atmosphere, these positive features of been processing out as a small production capacities, poor economy of scale, high expenditures of energy and time, and the cost of transporting oils to markets. Storage . Many steps in industrial processing find their origin in the traditional processes. In large-scale operations, oilseeds are dried to less than 10 percent moisture. They may be stored for prolonged time periods under suitable conditions of aeration with precautions against insect and rodent Infestation. Such storage reduces mould infection and contamination of mycotoxin contamination and minimizes biological degradative processes which lead to the development of free fatty acids and colour in the oil. Oil-bearing fruits such as olive and palm are treated as quickly as possible. Palm is sterilized as a first step in processing. Adipose tissues and fish-based raw materials (that is, the body or liver) are rendered within a few hours by boiling to destroy enzymes and prevent oil deterioration. Processing . Oilseeds are substantially cleaned of foreign matter before dehulling. The kernels are ground to reduce size and cooked with steam, and the oil is extracted in a screw or hydraulic press. The pressed cake is flaked for later extraction of residual fat with solvents such As “food grade” hexane. Oil can be directly extracted with solvent from products which are low in oil content, that is, soybean, ricebran and corn germ. After a period of time, autophaving is followed by oil-bearing fruits are pulped (digested) before mechanical compression often in a screw press. Palm kernels are removed from pressed cakes and further processed oil. , tissues of fish are pressed and the oil/water suspension is passed through centrifuges to separate the oil. Oil Refining . 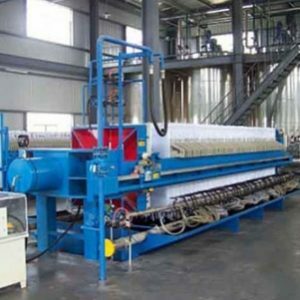 Refining Produces AN Edible Oil with Characteristics that Consumers Desire SUCH AS Bland Flavor and Odor, the Clear the Appearance, Light Color, Stability to Oxidation and suitability for Frying. 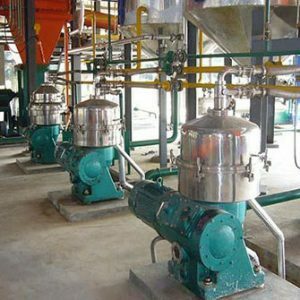 Two main Refining routes are Alkaline Refining and PHYSICAL Refining (the Steam stripping, distillative neutralisation ) which are used for removing the free fatty acids. Degumming with water to remove the easily hydratable phospholipids and metals. Addition of a small amount of phosphoric or citric acid to convert the remaining non-hydralable phospholipids (Ca, Mg salts) into hydratable phospholipids. Neutralising of the free fatty acids with a thread excess of sodium hydroxide solution, followed by the washing out of soaps and hydrated phospholipids. Bleaching with natural or acid-activated clay minerals to adsorb colouring components and to decompose hydroperoxides. Deodorising to remove volatile components, mainly aldehydes and ketones, with low threshold values ​​for detection by taste or smell. 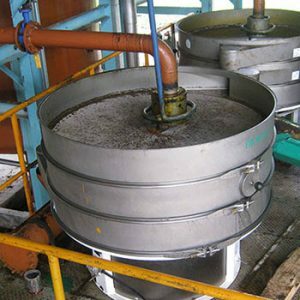 Deodorisation is essentially a steam distillation process carried out at low pressures (2-6 mbar) and elevated temperatures (180-220 °C). For some oils, such as sunflower oil or rice bran oil, a clear table product is obtained by a dewaxing step or crystallization of the wax esters at low temperature, followed by filtration or centrifugation. The alkaline neutralisation process has major drawbacks, the yield is relatively low and oil losses occur due to emulsification and saponification of neutral oil. Also, a substantial amount of liquid emuent is generated. The soaps are generally split with sulphuric acid to recover free fatty acids Along with sodium sulphate and some fat-containing acid water steam. The low volatility of fatty acids (depending on chain length) requires higher temperatures in physical refining than those required for only deodorisation. In practice, a a maximum of physical refining is that phosphatides be removed to a level below 5 mg phosphorus/kg oil. In the classic The refining process, this level is mere versed in the neutralisation stage, but special degumming processes may be required for physical refining of high-phosphatide seed oils. these processes rely on improved hydration of phospholipids by intimate contact of the oil with an aqueous solution of citric Acid,Phosphoric acid andlor sodium hydroxide, followed by bleaching (Segers and van de Sande, 1988). It is unlikely that the mild reaction conditions during degumming and neutralisation will induce any significant glamour changes in the oil composition. On the contrary, several of the oxidized components, trace metals and colouring materials are partially removed by entrainment with the phospholipids and soapstock. Where there is a reduced adolescent staining. Neutralisation also contributes significantly to the removal of contaminants such as aflatoxin and organophosphorous pesticides (Thomas, 1982). Organochlorine pesticides and polycyclic aromatic hydrocarbons, if present, must be removed during the deodorisation/stripping stage and by active Carbon treatment. Some loss of tocopherols and sterols during alkali neutralisation usually occurs, however,Under wellcontrolled conditions (minimising air contact) this need not exceed 5-10 percent (Gertz, 1988; Johansson and Hoffmann, 1979). The possibility of negative effects of high temperatures during deodorisation and stripping has evoked concern. in several studies, extreme conditions of temperature and time (even with free access of air) were applied to produce significant quantitative results. However, the results of model studies As early as 1967-1979, the German Society for Fat Research (DGF) defined upper limits for deodorisation conditions [240°C for 2hrs, 270°C for 30 min.] (Fremdstoff-Kommission, 1973 Gemeinschaftsarbeiten, 1992). 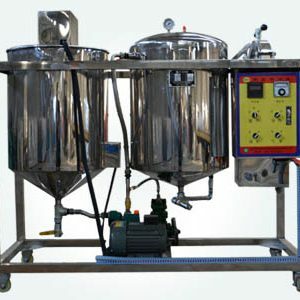 Good manufacturing practice also implies the following: the use of stainless steel equipment; the careful deaeration at < 100°C before heating to the final stripping temperature; the use of oxygen-free steam; and strict stock specifications (typically: Fe 0.1, Cu 0.01, PS, bleaching earth 5 mg/kg oil max.). Investigations in which oil was maltreated under extreme conditions (Rossel, Kochhar and Jawad, 1981; Jawad, Kochhar and Hudson, 1983 a, b; 1984) determined the effects of temperature (240-300°C) and time (30-180 min .) during “physical refining” of soybean oil (degummed with phosphoric acid and lightly bleached, but still containing 20 mg P, 0.35 mg Fe and 0.05 mg Cu per kg oil). A strong effect of temperature on the formation of trans fatty acids. And polymeric compounds is shown in Figure 5.1. Time also has a significant effect. At 280-300°C, there was evidence for appreciable inter- or intra-esterification (increase in the content of saturated fatty acids at the 2-position of the Triacylglycerols); amount amounts of conjugated fatty acids were formed as well.The shaded areas indicate the usual range of processing conditions required for physical refining (270°C for 30 mini 250°C for 1 h; 240°C for 2 h; 220°C for 3 h). Under these conditions, all changes induced By the high temperature treatment appears to be relatively minor. CIS-Trans isomerisation . One of at The MOST sensitive the Parameters Used to Detect Chemical Changes the Resulting from Severe Processing Conditions IS CIS-Trans isomerisation, ESPECIALLY of linolenic acid. At The MOST Complete Study in the this Area WAS Made by Eder (1982), the WHO Investigated at The On of laboratory scale, with unbleached soyabean oil at 240oC, the formation of C 18:3 isomers (determined by GLC) was insignificant (less than 1 percent, even after 5 h, against 3 percent at 260°C). The total trans contents (determined by infrared spectroscopy) for several types of oils deodorised in stainless steel equipment On the pilot plant scale is depicted in Figure 5.2. The data show a strong effect of temperature, specifically between 240 and 270°C, and confirm the general trend. That is, even for highly unsaturated oils containing linolenic acid, the formation of trans The amount of trans fatty acids formed from unsaturated oils is about 1 percent or less per hour. This figure is consistent with the data discussed earlier (Rossell,Kochhar and Jawad, 1981; Jawad, Kochhar and Hudson, 1983b). Heating of oils in air, under simulated frying conditions, has led to similar types of isomerised fatty acids (Grandgirard, Sebedio and Fleury, 1984; Grandgirard and Juillard, 1987; Sebedio, Grandgirard and Provost, 1988). The formation of positional isomers (that is, double bonds shifted along the fatty acid chain) of linolenic and linoleic acid under deodorisation/physical evolve conditions has not been reported. Dimensahon and polymensahon . Quantitative data on the formation of polymeric compounds from bleached soybean oil are included in Figure 5.1 (Jawed, Kochhar and Hudson, 1983b). Up to about 260°C, their rate of formation appears to be low; above 260° C, the increase is more rapid. Similar conditions were observed by Eder (1982). A rapid increase of the amount of polymeric triacylglycerols was only observed at 270°C. Deodorisation of soybean oil on a commercial scale (2 x 51 min at 240 °C) resulted in an increase of 0.5 percent to 0.8 percent polymeric triacylglycerols. When the temperature was increased to 270°C in one of the deodoriser trays, 1.5 concluded polymers was found. This suggests that the content of di- and polymeric triacylglycerols do not normally exceed l percent by weight in classified oils and fats. Strauss, Piater and Sterner (1982) carried out toxicological studies on mice fed concentrates (24 or 96 percent) of dimeric (incl. polymeric) triacylglycerols isolated from soybean oil that had been deodorised for 3.5 h at 220°C and 1 h at 270 °C and contained 1.5 wt percent of dimers. The acute toxicity was found to be low with an LD 50 above 18 g/kg body weight. Long term administration of the dimer concentrate (12 months, 15 wt percent of the 24 percent concentrate in The diet) did not reveal any significant differences compared with the control group. The absorption of dimeric fatty acids was found to be poor. Therefore, the presence of small amounts of dimers and polymers in processed oils does not seem to present a physiological problem. The degree of removal depends on the physical properties of the components (especially vapour pressure) and during the deodorisation or physical refining, volatile components are removed from the oil by the combination of high temperature, low pressure and stripping action of inert gas (steam) On the temperature and volume of steam passed through the oil. Some physical losses are highly desirable, for example, the removal of off- flavours, pesticides and polycyclic aromatic hydrocarbons, if present. Other losses of nutritionally valuable components, such as tocopherols and sterols , are potentially beneficial. Quantitative data on the composition of deodoriser distillates and the removal of various types of contaminants from oils during deodorisation were reported (Chaudry, Nelson and Perkins, 1978; Larsson, Eriksson and Cervenka, 1987; Sagredos, Sintra-Roy and Thomas, 1988; Gemeinschaftarbeiten , 1990). During high temperature deodorisation or physical refining, especially, the concentrations of organochlorine pesticides (lindane, DDT etc. ), if present in the bleaching oil, are reduced to very low levels. Polycyclic aromatic hydrocarbons (PAM) have been a reason for concerns since they were detected in some types of crude oils and fats in the 1960s. An example of this is oil oil from copra dried with non-purified smoke gases. Depending upon the number of Aromatic rings, polycyclic aromatic hydrocarbons are classified as either light (3-4 rings) or heavy (5 or more rings). Some of these compounds have proven carcinogenic properties, for example, benz- a -pyrene. Light polycyclic aromatic hydrocarbons can be removed by deodorisation or physical refining, rather heavy polycyclic aromatic hydrocarbons can be removed only by flask onto activated carbon (Chaudry, Nelson and Perkins, 1978; Larsson, Eriksson and Cervenka, 1987). , which can be combined with the bleaching process, is effective in reducing the amount of polycyclic aromatic hydrocarbons to the elevated levels. Some loss of tocopherols and sterols by degradation during high temperature deodorisation and physical refining is necessarily. However, they have higher molecular masses and lower volatilities than free fatty acids and light polycyclic aromatic hydrocarbons .resulting in the losses of tocopherols and sterols need not be severe Typical processing conditions are well-chosen. Extreme conditions applied in some model studies do induce more drastic effects. Typical results obtained for soybean oil (Rossell, Kochhar and Jawad, 1981; Jawad, Kochhar and Hudson, 1984) are illustrated in Figure 5.3. After 2 hrs at 300°C (a drastic treatment), the tocopherols and sterols almost completely disappeared, whereas the actual reduction during physical refining at 240°C for 120 min is only about 15-20 percent.The total refining losses (including pretreatment) are about 25-35 percent. Many investigators report similar data for a variety of oils. The losses tend to be higher in physical refining than in alkaline refining because of higher stripping temperatures. Under extreme conditions, some isomerisation of b -sitosterol can occur and individual tocopherols ( a , b , t , d ) and sterols may behave differently when exposed to high temperatures (Jawed, Kochhar and Hudson, 1984). However, these phenomena are of The minor composition of the tocopherol and sterol fractions remained essentially stable during processing (Gemeinschaftarbeiten, 1990; Jung, Mood and Min, 1989). For Refined Oils SUCH AS sunflowerseed, cottonseed and rapeseed Oil, AN Upper limit of 3035 Percent Loss of tocopherols Throughout The Entire Processing Would Still Satisfy The GeneRally accepted Criterion of OC-tocopherol combined with Equivalents / linoleic acid ³ 0.6 mg / G (eager, 1975) . Soybean oil, which is high in g -tocopherol and needy-protected in vitro, is relatively low in a -tocopherol and cannot reach this ratio. The, b -carotene in palm oil is another valuable component that needs consideration in the refining process. Special processes for retention are being designed. Olive oil and sesame oil are used in unrefined form since a specific taste is expected by consumers. Hydrogenation . Hydrogenation of edible oils and fats has been applied on a large scale since the beginning of this century. The process is carried out in a three-phase system (hydrogen gas, liquid oil and solid catalyst) at temperatures ranging from about 120° C to about 220oC max. in the final stages of the reaction. The catalyst consists of small nickel crystallites supported by an inorganic oxide, usually silica or alumina. After the reaction, the catalyst is filtered off and any traces of remaining nickel are removed in Post-refining to a level of about 0.1 mg/kg or below. In which K 3 , K 2 and K 1 are the reaction rate constants for linolenic, linoleic and oleic acid, respectively. The K3 is much larger than K2 and K,. In nearly all hydrogenations, linolenic acid is transformed into compounds which are less a high Selectivity Ratio 。 Depending upon the reaction conditions, the socalled Selectivity Ratio (K 2 /K 1 ) can change significantly; for example, for nickel catalysts it varies from approximately 10 at a low temperature to 50 or 100 at high temperature. The involved that slightly little saturated acid is formed and that monounsaturated fatty acids are the dominant reaction product. From from reduction of unsaturation, isomerisation of double bonds also takes place during hydrogenation: geometric isomerisation (cis-trans) and positional isomerisation. The mechanisms of hydrogenation and isomerisation are strongly interrelated (Koritala and Dutton, 1973; Rozendaal, 1976). Initially, a half-hydrogenated intermediate is formed in which the molecule adsorbed to the catalyst surface by a single bond can freely rotate. Addition of a second hydrogen atom results in saturation, while abstraction of a hydrogen atom from the half-hydrogenated intermediate to the nickel surface Yields either the original molecule or a positional or geometric isomer. Hydrogenation of polyenoic fatty drugs occurs, at least partially, through conjugated isomers (for example, c9, t11 or t10, c12) which are also highly reactive and, therefore,Dynamically converted into cis or trans monoenoic acids without accumulating. Of the total amount of trans fatty acids present in hydrogenated oils and fats, the greater part by far are trans monoenes. Due to the important role hydrogenation plays in the production of plastic fats, trans The amount of cis,trans and trans,cis dienes is much smaller, whilst the level of trans,trans dienes seldom exceeds 1 percent. (Gottenbos, 1983).Trans and trans,cis dienes is much smaller, whilst the level of trans,trans dienes seldom exceeds 1 percent. (Gottenbos, 1983).Trans and trans,cis dienes is much smaller, whilst the level of trans,trans dienes seldom exceeds 1 percent. (Gottenbos, 1983). Apart 恒化, there are two other important fat modification technologies. The first is interesterification, the random rearrangement of the fatty acids in the triglyceride molecule under the influence of a moderately alkaline catalyst. This modifies the melting behaviour of the fat without changing the nature Of the fatty acids. The second is fractionation, the controlled separation of oil/fat fractions by low temperature (dry fractionation), or solvents (solvent fractionation). In this process, there are no changes in the chemical nature of the fatty acids. Palm oil is fractionated into palmolein and palmstearin. Interrelationships of fat modification technologiesHydrogenation glow extends the number of fats available with specified melting behaviour and this incremental interchangeability and lowers costs. Industry uses various oils and fats interchangeably while retaining constant quality.General, the costly combination of raw materials compatible with the required quality is chosen. In non-hydrogenation situations, a combination of interesterification, fractionation and selection of the starting oil may good acceptable concept for limiting the formation of isomers in terms of product quality, however, the costs are higher. While the actual specific modification, for example, Hydrogenation or interesterification, is relatively inexpensive, the costs of losing flexibility can be significantly higher.The processes for oil modification may change as new mixtures become available through plant biotechnology (Sommerville, 1993). 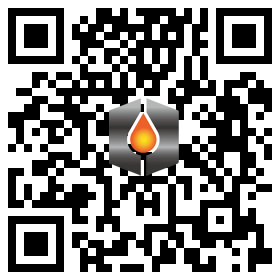 Temperature, transport and packaging of oils . Oils and fats must be protected against oxidative deterioration, contamination with water, dirt, or other fats, absorption of foreign odours and tastes, thermal deterioration, and entry of foreign substances from packaging and lining materials. \\, oxygen pressure, oxidation products, trace metals, oxidative and lipolytic enzymes, reduction in natural antioxidants and visible and ultraviolet light are all factors in such deterioration. The use of low storage temperatures, nitrogen or vacuum packaging; the avoidance of copper, copper alloys And iron as construction material of storage vessels; and the use of synthetic or natural antioxidants and metal sequestrants as additives, work to prevent deterioration of oil during storage. Selection of oil processing technology . 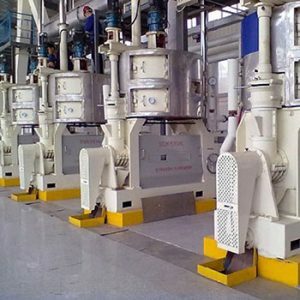 The use of oil processing technology and its application in products is influenced by several factors. For example, the demand for triacylglycerols with specific fatty acids in the 1, 2 and 3 positions of the molecule can be met through enzymatic Interesterification which uses lipases as catalysts in the interesterification process. The more easily transferred fatty acid in the 2-position can provide specific triacylglycerols with medical benefits. For example, essential fatty acids can be supplied to patients with various types of fat malabsorption or energy Can be given to infants with palmitic acid in the 2-position. Another is the increased use of physical refining because of consumer pressure for less “chemical” processing. Commercial purification produces fats and oils that can be of high quality and have the characteristics of bland taste, clear colour, good keeping quality And frying stability. Commercially-refined fats and oils are free from known contaminants extracted from the raw agricultural products. Refining may remove nutritionally valuable carotenoids to yield oils of low colour, but retains substantial proportions of tocols, and does not change fatty acid nor triacylglycerol Compositions. Temperature, time and pressure must be additive controlling during industrial refining. Oil products should be properly stored,Transported and packaged to maintain quality and consumers must assume responsibility for not abusing oils and fats within households. Hydrogenation reduction of loss fatty acid content and creates various fatty acid isomers, both cis and trans. The Wide flexibility available to industry through the selection of raw materials and different modification processes allowing for the production of oils at the lowest cost possible, an important aspect of food production. 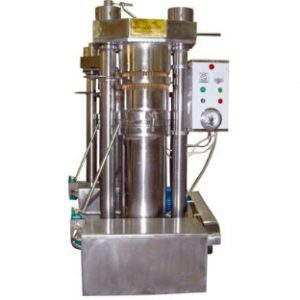 How to Maintain Oil Press Machines?